Having trouble finding that perfect gift for someone special? 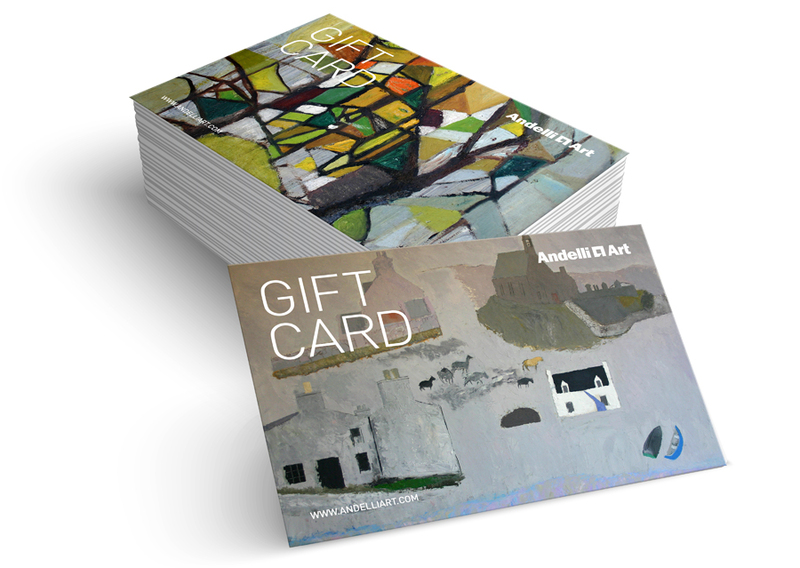 We now offer Andelli Art gift cards, making the ideal present or show of appreciation for any occasion when you’re not quite sure what to buy or are short of time. Let your recipient choose the gift they really want when they are ready to buy. To purchase an art gift voucher for any amount, simply contact us on 01749 572 373 or email us at ellie@andelliart.com. We can email or post the gift card to you or the recipient. Alternatively come in to see us in the gallery.